From the #1 New York Times bestselling author of Reviving Ophelia, Another Country, and The Shelter of Each Other comes an inspirational book that shows how words can change the world. Words are the most powerful tools at our disposal. With them, writers have saved lives and taken them, brought justice and confounded it, started wars and ended them. Writers can change the way we think and transform our definitions of right and wrong. Writing to Change the World is a beautiful paean to the transformative power of words. Encapsulating Mary Pipher's years as a writer and therapist, it features rousing commentary, personal anecdotes, memorable quotations, and stories of writers who have helped reshape society. It is a book that will shake up readers' beliefs, expand their minds, and possibly even inspire them to make their own mark on the world. 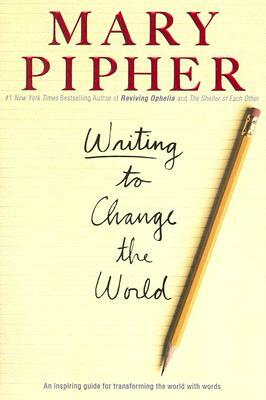 Mary Pipher, Ph.D., is a psychologist and the author of nine books, including the New York Times bestsellers Reviving Ophelia, The Shelter of Each Other, and Another Country, as well as Seeking Peace and Writing to Change the World. She lives in Nebraska.